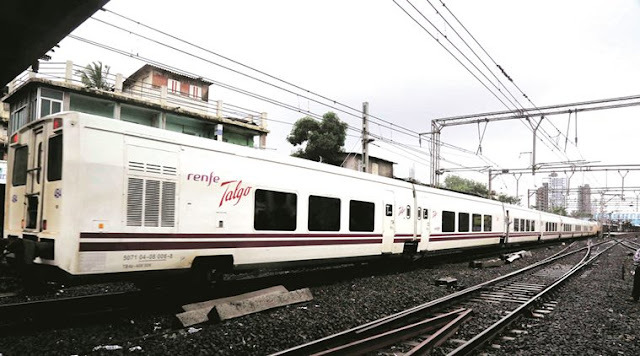 On Sunday, in the last of its six trial runs, the Spanish train Talgo made it to Mumbai Central from New Delhi in 11 hours and 48 minutes, touching a peak speed of 150 kph, and taking more than 4 hours off the Rajdhani’s time for the same distancecurrently. To begin with, what is Talgo and what is it doing in India? The Madrid-based company, established in the 1940s, manufactures intercity, standard, and high speed passenger trains. It makes both coaches and engines; coaches range from standard and high speed to very high speed coaches. Earlier this year, Talgo approached the Indian Railways with an offer to demonstrate coaches that can run at 200 kph. However, its stated USP is a patented in-house technology that allows Talgo coaches to go faster on curves than the Linke Hoffman Busch (LHB) coaches being used by the Railways currently. Okay, how does this technology work? Wheels of conventional coaches are joined by an axle underneath. Talgo’s wheels are mounted in pairs but not joined by an axle — instead, they are fitted individually on the coach. As a result, on a curve, the outer wheel (which has to cover a longer distance than the inner wheel) and the inner wheel are free to rotate at speeds of their own, largely foreclosing the possibility of derailment even at higher speeds. Also, the design of the coach is such that it senses the curve and shifts its weight in a manner that manages the tilt. And how much do these coaches cost? A figure of around Rs 7 crore per car has been mentioned informally. It must be stressed, however, that there is no serious talk of the cost yet, because the Railways are only witnessing results of trials done at the insistence of the company. The Railways did not ask for them, and their entire cost was borne by Talgo, which wanted to demonstrate its technology on existing Indian tracks. The company told the Railways that a train using its coaches can run at very high speeds even on curves, which cuts journey time significantly. An Indian engine pulled the trial train. Only officials from Talgo and the Railways’s Research Designs and Standards Organisation (RDSO) were on board. The Railways have said the trials were successful. 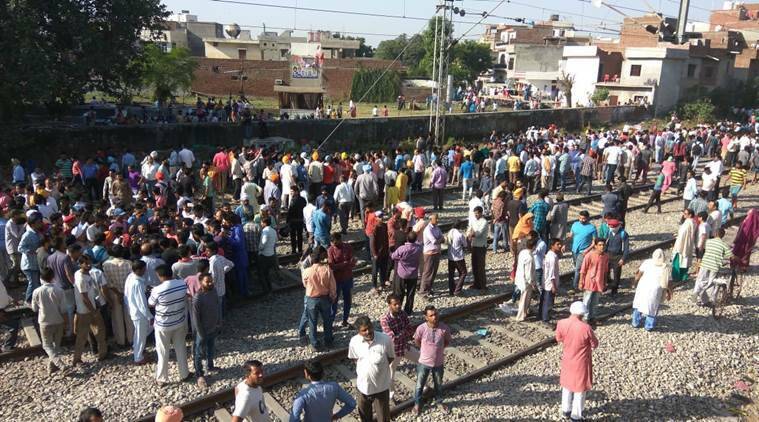 So why are the Railways not talking about buying these coaches? It is important to note that these trials were essentially Talgo’s technology exhibition for Indian Railways bosses — a private company’s proactive, though entirely legitimate, pitch for business from a very large client. But there is no formal commitment from India because the Railways cannot go for single-tendering of such a huge procurement. A global tender, open to all coach manufacturers, must be floated. Also, under public procurement principles laid down by the Central Vigilance Commission, the Railways cannot have preconditions or technical specifications in tender conditions that favour one company and automatically exclude others. Incidentally, other global coach manufacturers have developed their own versions of “tilting technologies” for curve management, but they do not, unlike Talgo, have a ready stock of broad gauge coaches.